2018 was going to be a big year in books for me from the start. At the end of 2017, I realized I had averaged more than 70 books in each of the last two years, so I set myself what I saw as an ambitious goal: 108 books. 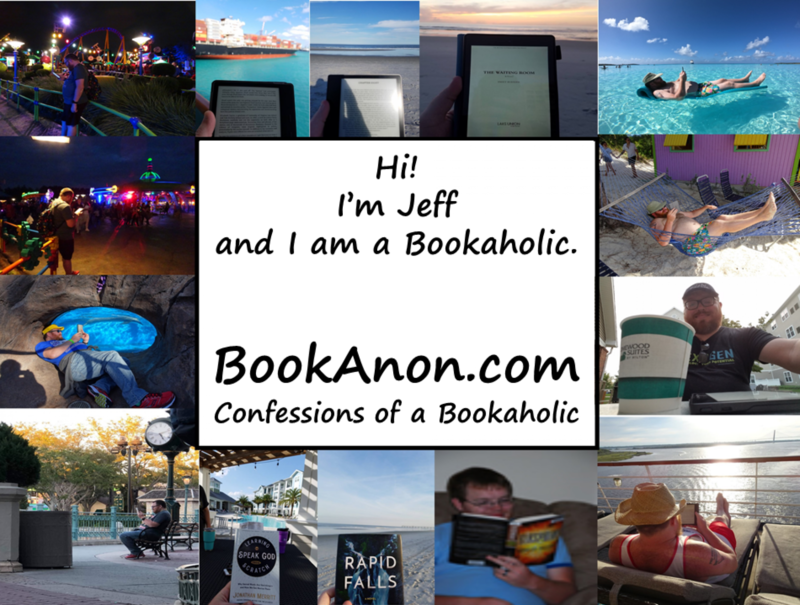 It started out as a specific list of books, with the acknowledgement that I would add the occassional Advance Reader Copy (ARC) and would probably end the year at 120 or so – still nearly double my recent average. I distinctly remember even 53 books being very difficult in 2008, but my life had also been much different at the time, as a new person in my day job profession, new husband, and driving 100 miles one way to work for over half of that year. 2018 was going to be much easier – I was working a fairly easy job in a settled position in my career, married to the same lady from 2008, and working just 15 minutes from home. 1) I surpassed my original goal of 108 books in *October*. I closed the year at 156. 2) I didn’t realize it until counting yesterday, but of those 156 books, 46 of them turned out to be ARCs! But let’s take a brief look at some “best of 2018”, shall we? I believe we’ll break it down by month before finally picking from those selections for the annual award. Series of the Year: Project Eden by Brett Battles. Of all the Series of the Month winners, this one gave the most epic tale and the most complete story arc. Humor of the Year: Space Force by Jeremy Robinson. Quite simply one of the funniest books I’ve ever read, laden with pop culture (and specifically gaming) references. Tear jerker of the Year: Granite Mountain/ My Lost Brothers by Brendan McDonough. I don’t think it is possible to read the full text of this book for all the tears you will be shedding near the end. Nonfiction of the Year: Failure Is Not An Option by Gene Kranz. Kranz was at Mission Control through most of the major NASA missions that set them apart in the American consciousness, and this book is an amazing tale of those events through his eyes. Audiobook of the Year: Love, Loss, and What We Ate by Padma Lakshmi. Hearing her story in her voice was very powerful, particularly at the end when she is dealing with the complexities of her life once she decided to have a child. Most Interesting of the Year: Infinity Lost by S Harrison. Quite simply, I’ve never seen anything quite like it. Book of the Year: Gold by Steven Savile. In the end, the 6 year wait and amazing payoff had to be rewarded. Note to authors: If you’re going to wait so long between books, make sure they are at least this good.